Carrier oils are the base to all of the wonderful creams and blends you can create with your essential oils. When you’re just starting out with essential oils, you’ll inevitably come across a ton of industry jargon like dilution ratios, methods of application, neat, hot, and the list goes on. It’s overwhelming. But it doesn’t have to be. Using essential oils is meant to be a fun and exciting journey. And carrier oils just happen to be the lifeblood of safe and efficient usage. So let me debunk the confusion and help you out. In this massive guide, I’ll cover absolutely everything you need to know about carrier oils. The top 20 carrier oils and their uses and benefits (with infographic). Frequently asked questions for everything carrier oils. Let’s set the confusion aside and jump right in. Get a free copy of our carrier oils reference guide which includes the top 20 carrier oils, their uses and benefits. A carrier oil is used to dilute essential oils before they are applied topically to the skin or in aromatherapy. They are base oils or vegetable oils that you’re probably already familiar with. Most essential oils need to be diluted, and carrier oils are an excellent way to disperse them for safe topical use. This dispersion allows for the essential oil to be spread over larger areas and to be used safely. Essential oils are highly volatile, which means they begin to dissipate as soon as they are applied. Carrier oils help slow this process. The rate at which the oils are absorbed and/or dissipate depends largely on how light or heavy the carrier is. You may hear carrier oils referred to in a number of ways, including fixed, base, or vegetable oils. Essential oils should always be diluted in plant-derived oils, not in chemical, animal, or mineral oils. Good carrier oils have their own characteristics and therapeutic benefits, much like essential oils. The blend of carrier you choose has an impact just like the blend of essential oils you choose. Essential oils are not actually oils, but carriers or ‘base’ oils are. What are the different types of carrier oils? Carrier oils fall into four major categories. There are many available, and they all fall into one of the following groups. Rather than giving you a complete list, here are the main ones for each category.
. I highly recommend grabbing a copy. These are rich oils that should not be used for one reason or another on their own as 100 percent of your base blend. Macerated or infused oils refer to those made in the traditional sense by introducing plant material into a vegetable oil for a length of time to infuse the oil with the properties of the plant matter. When choosing a macerated oil, make sure it is made like this, not extracted by another method. Besides the above carrier oils, butters like Cocoa (Theobroma cacao) and Shea (Vitellaria paradoxa / Butyrospermum parkii) can also be beneficial to add to your essential oils. When making up your own blend of base oil, always add the oils you are using in the most significant amounts first, and work your way down to those you’re using in the smallest quantities. This works much like regular kitchen recipes. As I mentioned, there are many different types of carriers. Depending on the home remedy you wish to create, your choice of carrier may differ. you don’t need them all. Here are the top carrier oils plus a little tidbit on their uses and benefits. Feel free to use the following as a quick-reference chart or pin this infographic for future use. Want a printable version of our Carrier Oils Reference Guide? Click here to download your free copy. Sweet almond carrier oil is an extremely versatile choice that can be used in most applications up to 100 percent. It is a light carrier oil that many prefer to use for topical skin absorption of essential oils. Before using this oil on anyone with a nut allergy, a skin test must be performed. Apricot carrier oil is another versatile oil for use in blends or on its own. Avocado carrier oil is rich in Vitamins A, B, D, and E as well as the fatty acids omega 3, 6 and 9. This oil is excellent for skin conditions like rashes, eczema, or scarring. Borage carrier oil is a wonderful choice to use in blends at about 10-30 percent. This oil is full of fatty acids; it has alpha linolenic acid in addition to omegas 3, 6, and 9. Camellia Seed carrier oil is usually used in blends between 30-70 percent but can be used on its own. It is good for eczema, psoriasis, dry, mature, or sensitive skin. Some purists do not believe in using fractionated coconut oil because it is not the whole, ‘pure’ oil. Evening Primrose oil is usually used in blends between 10-30 percent. This oil does not have a long shelf life but is high in fatty acids. Hazelnut carrier oil can be used in a blend between 30-70 percent or as the main carrier. Those with a nut sensitivity should perform a skin test before use. Jojoba carrier oil is actually a liquid wax that can be used on its own or in blends between 30-80 percent. This is a reliable go-to oil for all skin conditions including rosacea, eczema, and psoriasis. Dry, oily, combination, prematurely aged, and even acne-prone skin can benefit from the anti-inflammatory, anti-infectious, balancing, and nourishing effects of this oil. Jojoba is the most closely related to human sebum of all the carrier oils. Kukui Nut carrier oil is a regenerative emollient good for sensitive and aging skin. It helps dryness, acne, soreness, eczema, sun damage, and psoriasis. Kukui Nut is high in all of the omega fatty acids as well as Vitamins A and E.
Those with a nut allergy should do a skin test first. Use Macadamia Nut carrier oil only after performing a skin patch test if there is a nut allergy present. Otherwise, it can be used on its own as a base oil or in blends at 30-70 percent. Olive oil carrier oil is useful in blends at 30-50 percent for all skin types including mature. It is high in omegas 6 and 9, as well as Vitamins E and K.
Do not use culinary oil. Instead, look for cold-pressed virgin olive oil. Pomegranate seed oil is a relatively scentless light to medium carrier oil suitable for penetrating the skin. It is full of polyphenol antioxidants and useful for damaged or aging skin, and has conjugated linoleic acid, and omega 5. Rose Hip Seed carrier oil can be used in face oils at 100 percent or added to carrier oils for the body at 20-30 percent. The oil is high in omegas 3, 6, and 9 as well as trans-retinoic acid. This is a reddish oil that may stain clothes and/or skin, so test it first before using in excess. This oil can be used in a carrier blend between 30-50 percent or in spot treatments. A skin test should be performed to test sensitivity. Include Sunflower carrier oil in blends between 30-70 percent. It may also be used at 100 percent if desired. Sunflower oil is high in omegas 6 and 9 and Vitamin E.
This oil can be used for all skin types, but be sure to look for organic, cold-pressed Sunflower oil, not the culinary type. Walnut carrier oil is high in omega 3, 6, and 9 fatty acids. The oil is often used in carrier blends at about 30-70 percent. Walnut oil is suitable for use on all skin types, including oily, aging, or sun damaged skin. Perform a skin test before use if a nut allergy is present. When it comes to carrier oils, you’re going to have a lot of questions. So instead of you leaving with your questions unanswered, I want to spend the rest of this post answering them. Below, you’ll find a list of questions related to carrier oils. You can use the table of contents below to find your answers. What are carrier oils vs. essential oils? What are the best carrier oils for essential oils? What are the best carrier oils for…? Is [this] a carrier oil or essential oil? Is coconut oil a carrier oil? Is coconut oil an essential oil? Is castor oil a carrier oil? Is argan oil a carrier oil? Where should I buy carrier oils? What is a good V6 oil substitute? What is a good jojoba oil substitute? Should I only use organic carrier oils? What are some cheap carrier oils? What are some non-greasy carrier oils? How can I make my carrier oils last longer? How do I determine the carrier oil to essential oil ratio? Carrier oils are actually oils derived from plant matter. Essential oils are not actually oils at all, but the volatile liquids that carry the phytochemicals of the plant. When trying to determine the best carrier oil for essential oils, you must first decide what you are using the blend for. A lot of people ask about particular oils, i.e., what is the best carrier oil for tea tree oil or what is the best carrier oil for lavender. In short, there is no ‘best’ carrier for the different essential oils. Sweet almond makes as good of a tea tree oil carrier oil as it does for frankincense, lavender, or lemon.Choose the carrier that is best for your particular application, like the area of the body you are using it for. Best carrier oil for massage? This really depends on what you are massaging, and why. In general, you want a non-greasy, light carrier oil. is great for pretty much any massage blend or application. What is the best carrier oil for perfume? For perfumes, you want to pick an oil that is not going to overpower the scent. Is [this] a carrier oil or an essential oil? Yes, coconut oil is an excellent carrier oil. You can use it in a blend between 30-50 percent or as a body oil up to 100 percent. No, coconut oil is not an essential oil. It is a carrier oil. No. Castor oil does come from a plant (Ricinus communis). It is full of antioxidants and can be beneficial to the skin and hair. However, the oil leaves a sticky residue so is generally not used as a carrier oil in aromatherapy. It is often used internally to treat constipation. Do not use regular culinary olive oil. Yes, argan oil is a carrier oil. It contains vitamin E, omega-6, and omega-9 fatty acids. It is generally used as part of a face or body blend at 15-50 percent but may be used up to 100 percent for either. When looking for carrier oils, you generally do not want to head to your local grocery store. Yes, they will have items like coconut and olive oil, but these are usually culinary oils that are not suitable for therapeutic applications. A reputable vendor will be able to assist you in choosing an appropriate carrier oil for your particular need. A lot of these vendors sell directly on Amazon. Just remember you want natural, pure, organic, first-pressed, cold-pressed, virgin oils to use for your essential oils. You can try making V6 oil at home. While the exact proportions are unknown, you can look at the ingredient list and get a basic idea. Remember that ingredients are listed in the order of quantity from highest to lowest. Therefore, for V6, it has the highest amount of fractionated coconut oil in it, followed by sesame, and on down the line. When making substitutions, you want to use an oil with approximately the same viscosity and absorption rate. If I run out of jojoba oil, I substitute another light carrier oil like sweet almond or fractionated coconut in most cases. When looking for carrier oils for essential oils, look for those that are organic, pure, virgin, natural, first-pressed, and cold-pressed. All of these terms denote that the oil is in its most natural, healthy state without the use of harmful chemicals. Some of the lesser-expensive carrier oils are also ones that can be used in most blends or at 100 percent. These include sweet almond, jojoba, and fractionated coconut oil. When using carrier oils as a body oil or for large-scale dispersion of essential oils, you want to choose those that are not as apt to leave a greasy residue. Sweet almost, jojoba, grapeseed, and fractionated coconut are all good choices. Most essential oils have a reasonably long shelf life as long as they are kept in dark glass containers away from sunlight. Even when they are beyond their life for therapeutic reasons, they can still be used for their scent or to clean with. Carrier oils, on the other hand, can turn rancid. As you can see, the shelf-life of fractionated coconut oil and jojoba oil are generally the longest and can last over a year. Sweet almond oil’s shelf life is about one year. If you are looking for well-rounded body oils that are versatile and going to last a while, choose one of these. Carrier oils like primrose and borage have a tendency to oxidize quite quickly, often around six months. In order to save money, it is better to purchase oils like these in very small quantities or even in capsules. Heat and the sun’s UV rays can speed up oxidation in oils. Always keep them tightly capped in your refrigerator. Do not store oils in clear containers. Amber, dark blue, or another dark glass are all good choices. Remove the dropper from the bottle and use regular caps. Adding an antioxidant like Vitamin E can help your carrier oils last longer. When mixing essential oils with a carrier oil, you want to consider what you will be using the blend for. If you want more information on dilution ratios, we have a complete guide on diluting essential oils here. Add your carrier to a non-reactive container, like glass. Then, add your essential oil and stir. If making a blend of essential oils, mix them first and then add them to the carrier. A good general rule to follow is to use 1-4 drops of essential oil for most cases. For serious cases, use no more than 8-10 total drops of essential oil or an oil blend. This number varies depending on age, the essential oils used, and the health of the user. Mix the essential oils in with at least the same amount of your chosen carrier then add to the water. Be careful when mixing essential oils with a carrier oil for baths. They can make things slippery! For blends that will be used on the face, use 8-15 drops of essential oil in one ounce of a nourishing carrier oil that is recommended for your specific skin condition. Then, mix it well, and apply only as much as you need. You likely will only use a fraction per treatment. Keep the rest in a dark bottle for future use. If you’re using coconut oil for a massage or another carrier for body massages, then you can follow these dilution ratios. For a blend that will be used for a massage on a body part (not the face), use 10-30 drops of essential oil per ounce of chosen carrier. A 1-3 percent dilution is standard, depending on the situation. If blending essential oils, combine them first. Add the carrier oil(s) to a dark bottle, and then add your essential oil blend. What are the dilution percentages I keep seeing for essential oils in carrier oils? Carrier oils vary almost as much as essential oils do. It can be confusing to determine which will suit your needs the best. Many times, this comes down to personal preference. Here are a few key takeaways for you as you begin using carrier oils for your own homemade blends. Always look beyond culinary oils when choosing. These carrier oils will be a large part of your therapeutic use of essential oils, so you want the best. Look for descriptors like pure, organic, cold-pressed, first-pressed, virgin, and natural. When deciding what carrier oil or oils to use, begin by figuring out what you need it for and what results you would like. Base oils have therapeutic properties in their own right, and choosing the correct ones for the condition can extend the therapeutic effect of the essential oils you use. I hope I’ve cleared up some of the questions surrounding these beneficial oils. Be sure to bookmark this page to use as a quick reference in the future. If you have any burning questions that I have not addressed above, leave me a message in the comments! I have a bulldog that has a lump. I wanted to try essential oils do you have any recommendations on what to use and how to apply? I wouldn’t recommend an oil for a lump if I didn’t know what the lump was. My middle daughter is allergic to cocnut what can I use instead to make a lotion? saw the link for your blog on the FEMA email I just received, and then saw you are like-minded with doTerra Oils. Can I use external use essential oils to make toothpaste?? It saids it has a verbal oil to infusses and a essential oil as ingredientes, i feel lost!! I just found out from my doctor today that I have Lyme Disease from a recent tick bite. The information about Lyme Disease and its symptoms is a pretty overwhelming to me right now. I’ve been prescribed Doxycycline to take twice daily for the next 4 weeks, and possibly longer. Do you have any specific recommendations on using essential oils to help battle this powerful disease? Lizzie – I got Lyme 20 years ago. It can be devastating or not so bad. Mine was devastating. While it’s not essential oil based, I highly recommend educating yourself. A great book is Healing Lyme by Steve Buhner and Neil Nathan, MD. Best of luck to you. What carrier oils are best for non clogging the pores? When I don’t have fractionated , cold press coconut oil can I use another coconut oil in my recipes for creams and butters ? When I’m out of my “premium” coconut oils, I do substitute less pure coconut oil but only temporarily and in small amounts (don’t make a month’s supply of you can get away with a few day’s worth). Hiii!!! I have a question!! Does every jar or container that I may use for essential oils blends or salves do they have to be from glass?? No plastic?? Can you recommend a blend for flea and tick repellent for cats? I know there are lots of EOs that can not be used in cats. TIA. Hi I’m very interested in this and I have thousands of questions I know you said like you could go to the store to buy a Essential oils I was wondering if you could please let me know what you would use for acne for my son and my daughter has terrible allergies all your long and is on an allergy pill every day also it’s like every time I turn around she’s getting the flu Strep throat four times since schools been goes on and on and on right now she’s been complaining that her throat hurts and a runny nose on top of that I would like to know what do you recommend for anxiety/stress/depression for me and I I have trouble going to bed at night and then having to be right back up to be at work at 4 AM I am just very exhausted Moody all the time I want to do a great job I want to stay focused but anyways I can go on for hours can you please help me and my kids or suggest anything for us my son he’s 15 my daughter is five and I am 33 I really appreciate this thank you from a struggling Mother!! Sorry for the late response, Tishia. Essential oils are overwhelming when you’re just getting started. With skin issues varying widely based on each individual, it’s tough to say that Tea Tree (Melaleuca alternifolia) will work for your son. You would need to test out multiple different methods. https://momprepares.com/essential-oils-for-acne/ – This article basically covers different stages of acne and which oils have worked in previous scientific studies. https://momprepares.com/essential-oils-for-allergies/ – This article goes through different recipes for treating allergy symptoms. https://momprepares.com/essential-oils-for-colds-flu/ – This article goes through different oils to boost your immune system for cold and flu. As for strep and depression, I know that we have two research-backed articles in our editorial calendar and they should be posted on our blog soon. What would you use as a carrier oil if you are taking an essential oil internally? I love that you tell the vitamins and fatty acids that are in the carrier oils. Very helpful! I want to make a bug repellent, what would be the best oil to use? If I was limited to a single oil, I’d say peppermint. But creating a bug repellent may require mixing other oils like geranium and eucalyptus. As for a carrier oil, this will be based on your personal preference. I like sweet almond. Hi I have to say this was by far the most informative and helpful article I’ve read since I started dabbling in the essential oil world – or as I call it, the “Oily World”. I’m currently researching herb infusion. I’d love to make something for a few medical issues in my family. 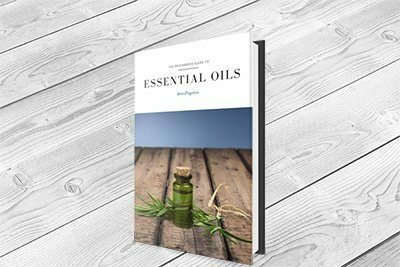 Everything I’ve read thus far has stated that combining some essential oils with infused oils and making a salve would be very beneficial. I’m struggling to find the perfect carrier oils for the infusions! So far I’m convinced the jojoba, sweet almond, and sunflower (high in linoleic) is best. Most of those I’m looking to make this for, myself included, have acne prone or sensitive skin. The men don’t care for the greasy feel either. So, with everything I’ve mentioned, what would your advice be? I would love to pick your brain more, and in emails if that’s best. Hi Misty! It looks like you’re on the right track. Carriers, much like essential oils, are a very personal thing. Some work better than others for different people. It sounds like you’ve done your research, so I would give it a shot with one of them (ie. jojoba, sweet almond). But since you mentioned acne-prone skin, I’m more inclined to recommend jojoba. We have a big post on EO for the skin coming up, so stay tuned! Thank you very much for your input! I’ll be stocking up on more jojoba. Hopefully finding good deals too, because that one is a bit pricey. Trying to decide where to start with carrier oil use. This is very informative! Thank you! Any reason why cannot use cooking oil since it is edible, thus more suitable for application orally? How do you know weather to use coconut oil in its solid form or pour able form? Some skin care recipes will call for coconut oil but don’t specify which. Thank you! Great posts! So informative. I’m still learning. Question. What do you do when a carrier oil is to be used at so 30-40% blend. Then what do you do? Use another carrier oil with it? Example – Jojoba says 30-80% in blends. So do you use say coconut oil for the rest? Or do you use more of the essential oil than the carrier? Thanks! Thank you for your Carrier Oils Guide, I believe it will help me a lot in my future essential oils journey. I been on the iinternet for hours . Any help would be appreciated; i want to start making Hemp seed oil for myself and family for pain , I want to use organic Hemp oil and Coconut oil as a carrier plus added coco butter/ or shey butter: I do not want to use hemp seeds at this time: I can’t find a recipe on the ratio of Hemp oil to Coconut oil any where. Can u help? Can vitamin-E oil be a carrier oil? can you give the list of shops that selling these carrier oils and essential oils ( organic) thank you so much. Thanks for the carrier oil guide. Do you happen to have the same list for essential oils? Thanks!